It’s no secret that there is an overall industry challenge to find the right cyber security talent. Some make the argument that there is a skills ‘shortage,’ while others say that the skill is there, but there is a communication gap between employers and recruiters that aren’t putting out the right job descriptions for those trying to enter into the cyber security field. While there are many theories and opinions on the ‘why,’ Cyber Security Hub (CS Hub) recently focused on how to help. There is more power in team than in me/my/I … cyber security is a team sport. Always know your disaster recovery plan … hoping you never have to use it. If you are not asking the right questions, ask more. Always ask questions until you understand. Some say cyber security is a break even business … breaking even is a win! Scan — mitigate — scan – repeat. Overachieving is a lost art … practice it! Get up and walk — go talk to people in the business. When you go out and talk to people you develop rapport and can become a trusted advisor. In a battle of 1,000 attacks you might prevent, stop and win 999 times. No one cares. But everyone cares about you loosing the one and only time. Accept this. Approach your work with a ‘beginner’s mind.’ Never assume you know. Learn *NIX and build yourself a lab with OS tools. Certs don’t make you an expert, but they measure knowledge at a point in time on the material for the cert. Find others to teach and to learn from. Be above reproach with regard to ethics. ALWAYS keep learning, and always expand into areas that are not strictly security-related. Do it for the love and the $$$ will follow. Be true to the art more than the science, it’s always a one-off!!! Read, read, read… There is an overabundance of resources at your disposal and almost every tool out there you’ll come across has “help” documentation built into it. Take the time to understand how the tools work and familiarize yourself with them — they’re there to make you more effective at your job and will not do the job for you. Master reading and learning, and never stop the learning process. 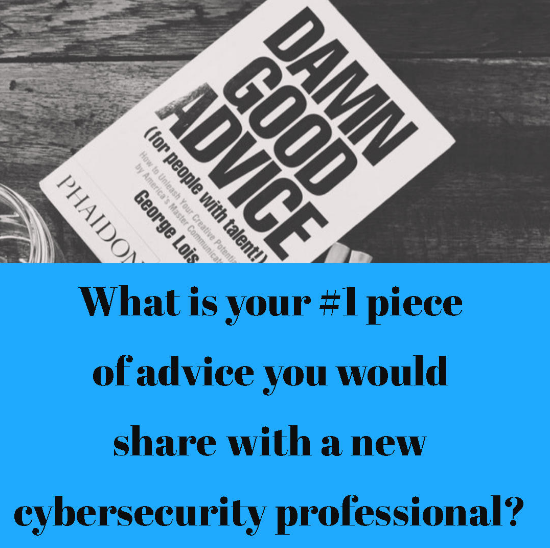 Getting into cyber security is not an end goal, it’s just the beginning of a career-long commitment to educating yourself and keeping your mind sharp in an industry that is ever-changing.